With the mega sporting festival that is the Olympics upon us, it is an unfortunate reality that doping stories are fighting for equal time with actual sporting stories. 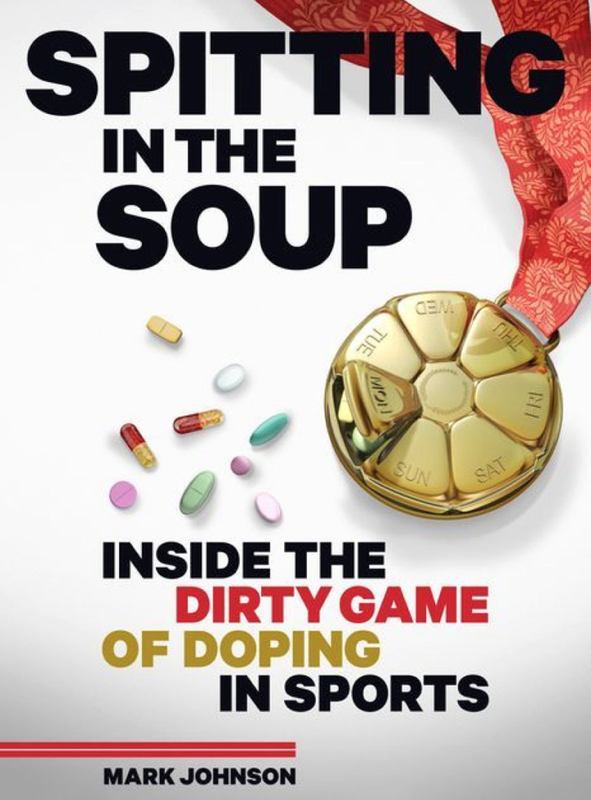 "Spitting in the Soup" is a hard-hitting, comprehensive, and highly readable analysis of the varying societal and historical forces driving our love-hate relationship with sports and doping. Cycling fans often bemoan how our sport is often held up as the poster boy for dirty sports while other sports seem to get a free pass. In Johnson's historical review of organized sports and especially cycling, there is a reason for this. Namely, cycling from its very origins was a "professional" sport, and part of being professional entails whatever means necessary or available to ride as fast as possible. The analogy is drawn with horse racing, which is somewhat intrinsically boring without speed involved. Therefore, the original doping scandals actually involved giving horses or riders substances that would slow them down in any way. The historical chapters goes over familiar territory such as sports as a nationalistic battle during the Cold War, but also takes the reader on unexpected journeys or stories they may not be familiar with. For me, the most interesting part was the discussion of how the 1984 LA Olympics transformed both the Olympic movement itself and also the rationale for anti-doping. These Olympics were the first ones that were fully driven by corporate interests, as California law dictated that no public money could be spent on the games. As a result, the needs and priorities of corporations overran anything else, and that included an extreme aversion for bad PR in the form of doping scandals. Johnson argues that this had the effect of driving anti-doping into the shadows as it became an unpopular story for corporations and TV networks. 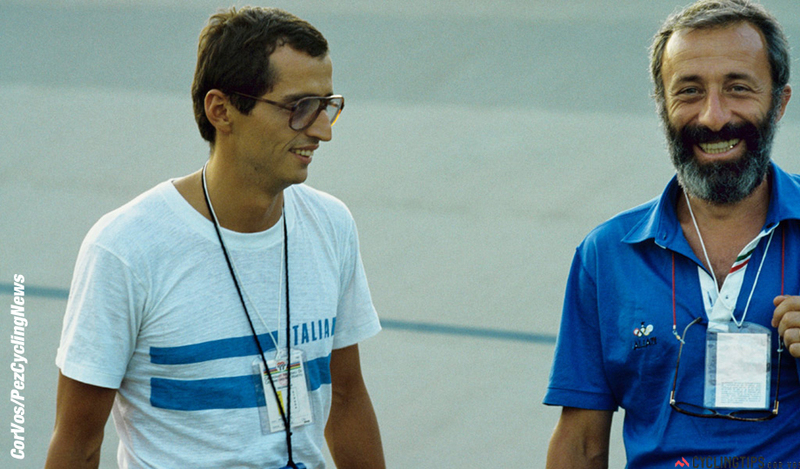 For cyclists reading the book, one of the most perspective-challenging chapters is the one titled "Dr. Ferrari Was Right." The title by itself is controversial enough and might turn many readers off. The chapter begins with Ferrari’s infamous quote that EPO by itself is not dangerous just like orange juice, but rather its abuse. It then dissects the origins and veracity of the common anti-doping story of how EPO caused the death of a number of young and otherwise healthy cyclists in the late 80s and early 90s. I won't spoil this chapter for you, but it is a searing indictment of poor reporting in both the popular media and scientific literature resulting in a convenient scapegoat of EPO as a mass killer of cyclists. One of the persistent themes running throughout the book is the incongruity of demanding purity in sports when society as a whole is awash in performance-enhancing drugs of various types. Whether it is Viagra, Botox, antidepressants, or steroids, modern Western society is thoroughly addicted to pharmaceuticals. This theme is built up in several chapters. One chapter analyses how political interests actively fought to defang any federal regulation or oversight of the supplement industry, despite the repeated and numerous deaths caused by this lack of regulation. In essence, while pharmaceuticals are considered dangerous until proven safe, the exact opposite is true of supplements, where the FDA is not allowed to touch supplements until they are proven dangerous. And of course, this proof of danger is often left up to the supplement industry itself to provide. Society's addiction to performance enhancement is also seen in the gaming of the medical diagnosis of ADHD. In "Amphetamines for All," Johnson probes how society enabled children who were previously simply viewed as "rambunctious" to a new diagnosis of ADHD and to be prescribed pharmaceuticals instead. Part of this was led by "No Child Left Behind" educational initiative and their increasing emphasis on standardized testing, and part of this comes through generally affluent parents figuring out that a way to improve their child's test taking abilities is to request exemptions or to get their child on medications. While very few would deliberately choose such a path, Johnson highlights that the system is rigged in favour of such subconscious choices, just as the sporting system itself is rigged in favour of rewarding performance enhancement in all its forms. What I found most refreshing about Johnson's book is its objectivity towards the subject at hand. Rather than reducing arguments to a simple "kindergarten ethics" of doping is bad or just let everyone dope, no one single person or act is made to serve as a convenient scapegoat. 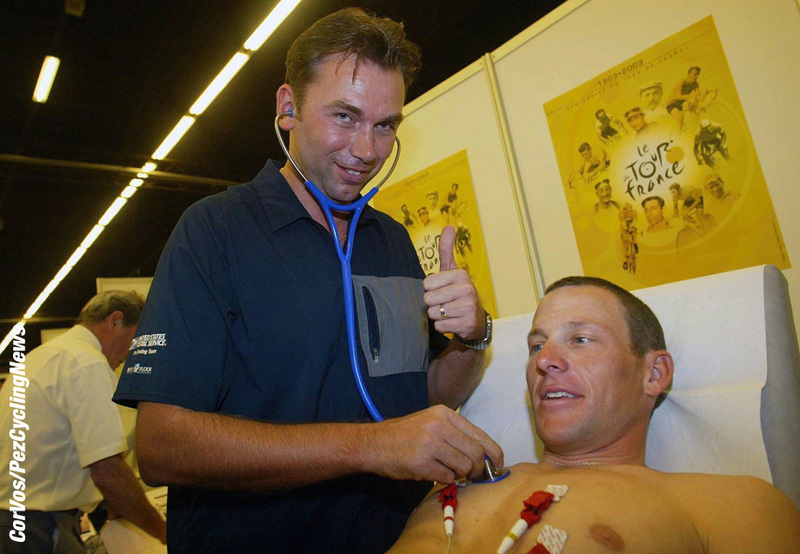 It would be far too easy to just say that dopers are bad or that Lance Armstrong is evil, but Johnson doesn't take the easy way out. The vast web of interconnections between Armstrong, the UCI, Thom Weisel, USA Cycling, US Olympic Committee, etc. is used to study the idea of an entire organization or industry losing or subconsciously altering its moral compass, rather than simply reducing it to one person's evil decision to dope. At times, I was almost tempted to flip to the end pages to see Johnson's actual views on the matter. Personally, I feel that this unflinching objectivity was a huge strength of the book overall, and I never got the sense that Johnson had a personal axe to grind. “Spitting in the Soup” is a fascinating book that should be of interest to anyone heavily invested in sports, whether as an athlete, coach, sport scientist, or fan. When I reached the last page, I simply didn’t know what to think of the issue of doping in sport. While I have always slagged supplements and still believe that doping in sports is intrinsically wrong, the book is forcing me to reassess my rationale and develop a more nuanced and deeper argument for my position than before. Having your foundation shaken like this is hard but certainly worthwhile, and I highly recommend it. Stephen Cheung is a Canada Research Chair at Brock University, and has published over 90 scientific articles and book chapters dealing with the effects of thermal and hypoxic stress on human physiology and performance. Stephen’s Cutting-Edge Cycling, a book on the science of cycling, came out April 2012, and he is currently co-editing a followup book “Cycling Science” with Dr. Mikel Zabala from the Movistar Pro Cycling Team. Stephen can be reached for comments at [email protected] .